Hi Doodlebug friends, it's Traci and I'm back to share a new mini album with you. 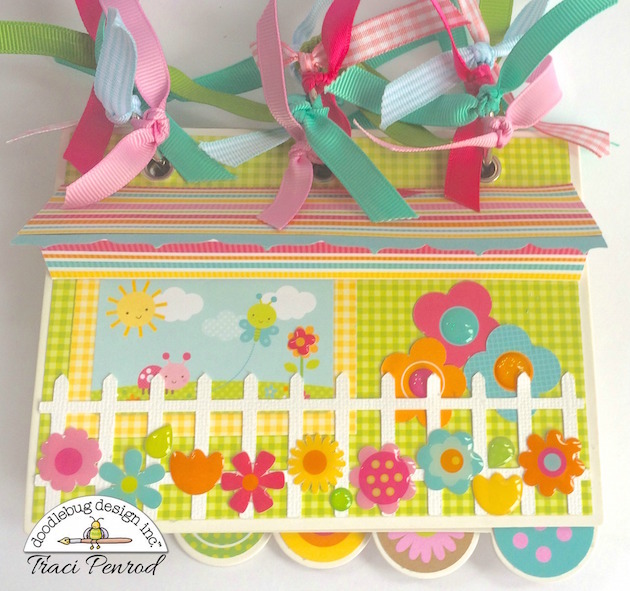 When I started playing with the new Hello Sunshine collection, the die-cut flowers, and the adorable flower sprinkles, I knew this album cover needed a cute little awning and a white picket fence. I wanted it to look like a house or a little flower shop. 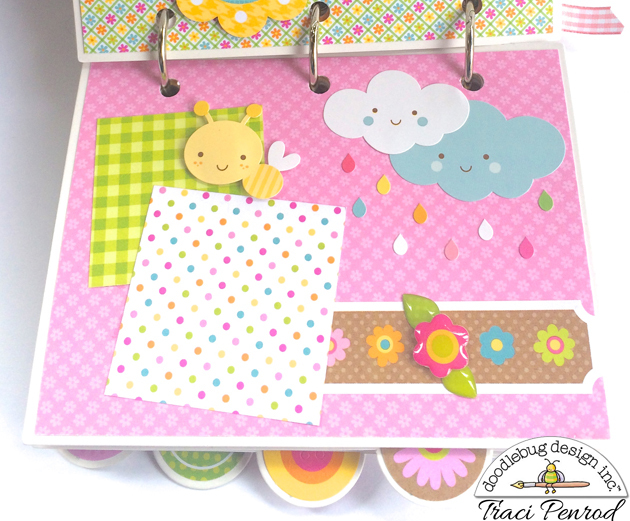 I'm not sure it looks like either of those, ha ha, but thanks to all of these adorable Doodlebug goodies, it's fun and colorful! 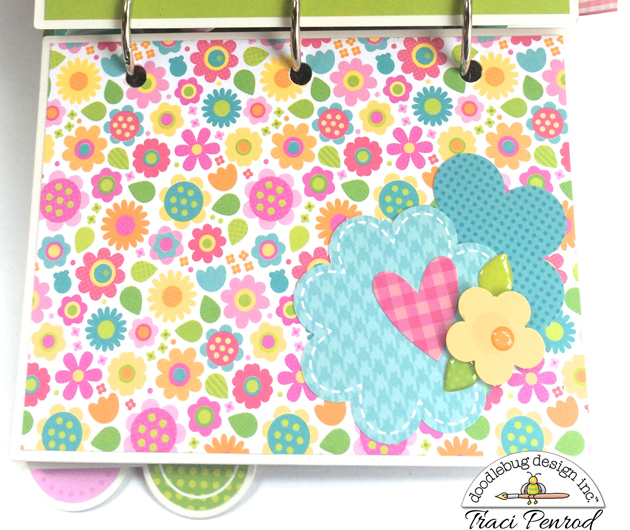 I used the 6x6 Hello Sunshine paper pad to cover each of the pages, and the circle die-cuts from the craft kit were the perfect size to cover the tabs on the album. I also used bright glitter sprinkles, This & That stickers, icon stickers, and spring flower sprinkles. For additional photos of this mini album, please visit my blog at www.artsyalbums.com. Thanks so much! Your albums are always so perfect! This is adorable!!! Oh, I just love the vibrant colors. Cute! Your mini is awesome!! Love it!! Congrats Traci!!! Another adorable creation! Bring on Spring!! I just have to say that this is a SERIOUSLY CUTE and SWEET mini album!! So full of color and great ideas!! 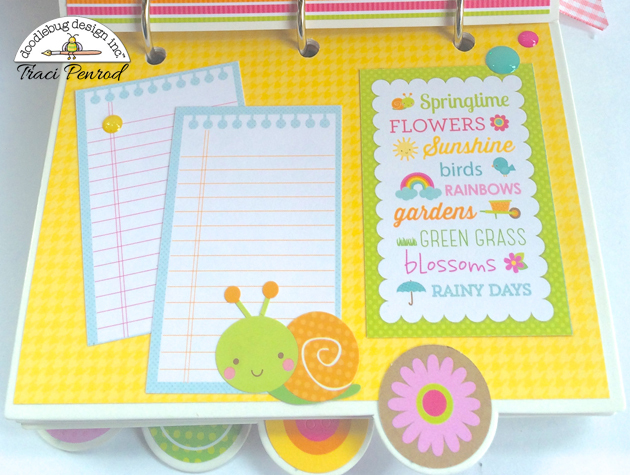 Love the circles on the tabs and the ribbons - everything about this is just AWESOME!!! !